I had the absolute privilege of doing the flowers for my cousin Tegan's wedding to her Husband Scott on the 16th January 2016. 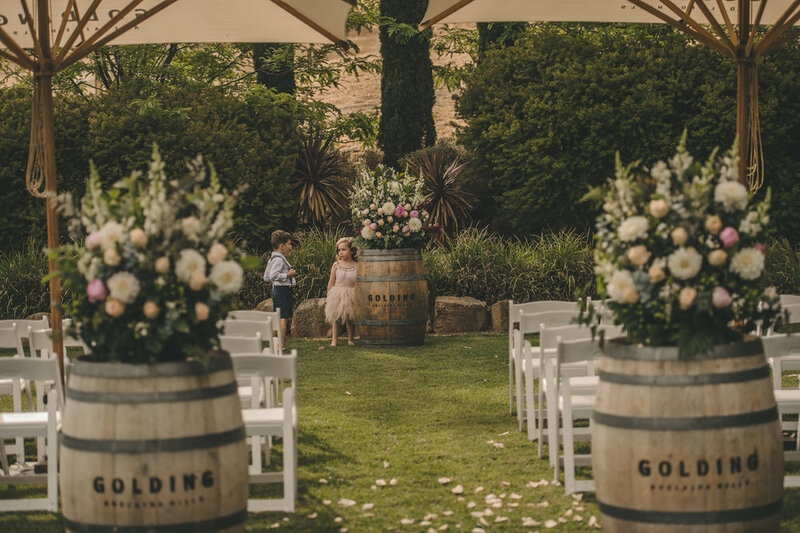 And what a stunning wedding it was, at the picturesque setting of Golding Wines at Lobethal, the ceremony was on lush green lawns with a backdrop of rolling vineyards as far as the eye could see. 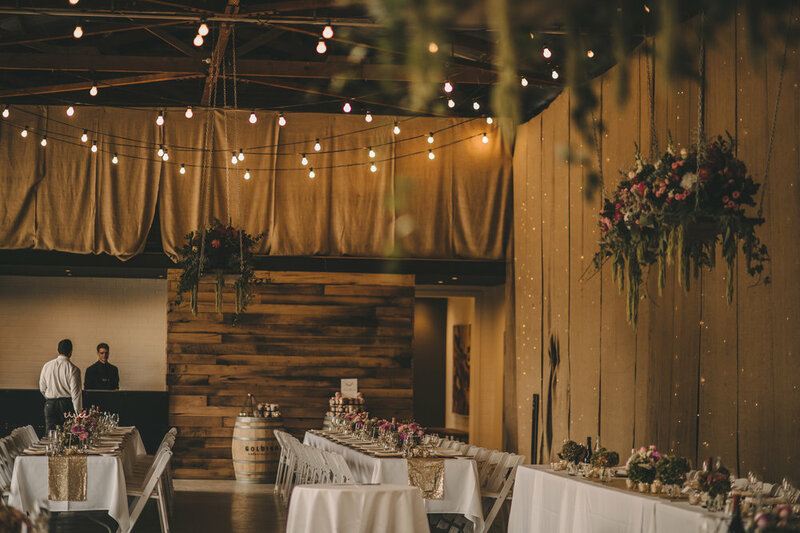 The reception is held inside with large loft ceilings strung with festoon lighting, rustic timber and stone wall features and polished concrete floors. On the Friday morning before the wedding myself, my cousin and my uncle all met at the wholesalers in Adelaide to fill our hired van to the brim with flowers to transport to Lobethal, we arrived at Golding later that morning with 1 Van and 1 SUV full of flowers and a whole day to knock out as much of the ceremony and reception flowers as possible. With a handful of helpful groomsmen, and after conquering my fear of heights, we were able to install the three 2M long hanging arrangements. These looked absolutely stunning but ended up taking a lot more time and flowers then I had first anticipated, so this was definitely a learning curve for me, but well worth the lesson. 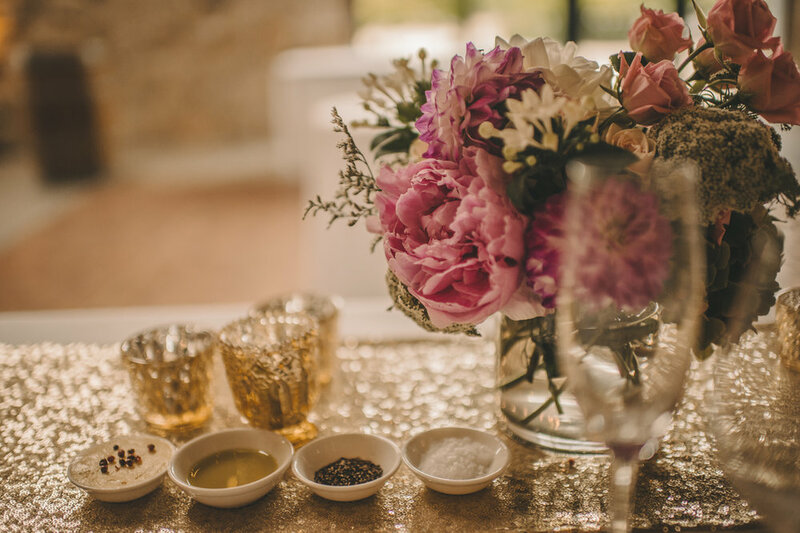 The rest of the day was spent making vases of Roses, Hydrangea, Dahlias, Queens Annes Lace and Bouvardia to adorn the long long table settings. I also made some large feature arrangements for the ceremony featuring some stunning Peonies, Dahlias and Snapdragons. The Bridal bouquet and bridal party were up next on the to-do list, Tegan had given me free range on her bouquet and I opted to include a few unusual elements such as some tall burgundy and brown feathers. 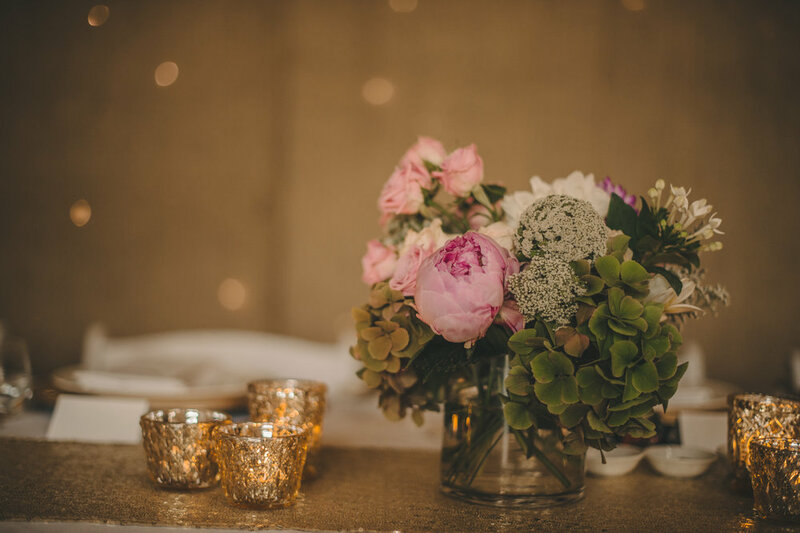 I also incorporated some stunning pale pink peonies, burgundy and white dahlias, roses, tuberose, andromeda and gum foliage. The bridesmaids bouquets were smaller versions of this bouquet and all bouquets featured long trailing ribbons in double satin and velvet. We also couldn't forget the Groom and all the Groomsmen, their buttonhole flowers all featured large pale pink roses with white misty and foliage. All of the staff and managers at Golding couldn't have been more helpful, they let me spend the whole day prior to the ceremony installing and making up bouquets and then back in again at the break of dawn the next day. 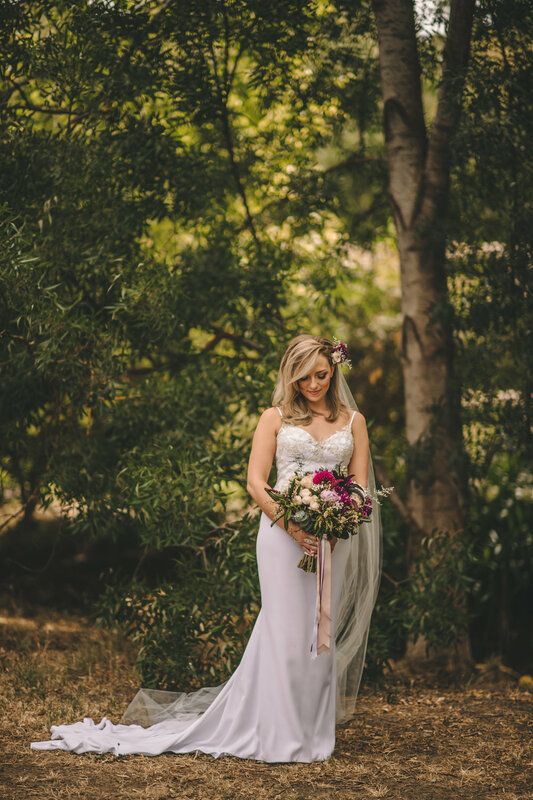 It's such a stunning venue and I cannot recommend it enough for any Adelaide brides.